Faeroe Islands at 1:100,000 on a large, indexed map from Freytag & Berndt with excellent presentation of their topography through contours at 50m intervals enhanced by relief shading, places of interest and ferry connections, etc, plus a street plan of Tórshavn. 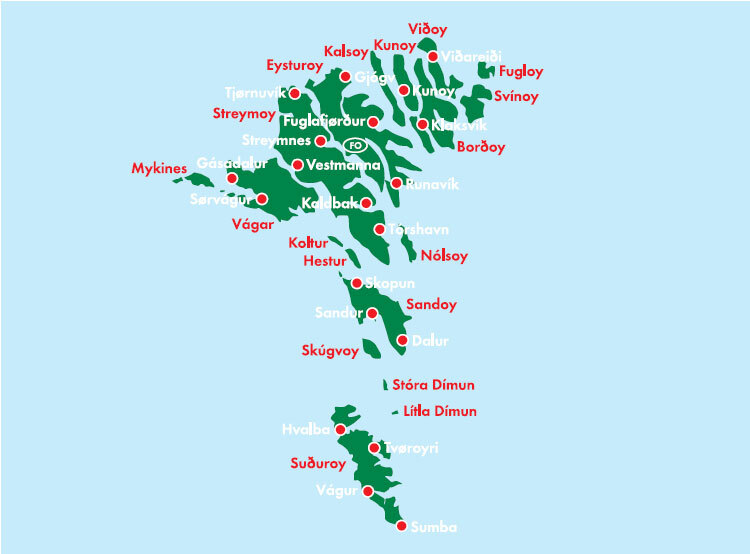 The map, published by F&B in cooperation with the locally based Henrik Solberg, shows all the islands in their proper geographical locations rather than on separate panels. 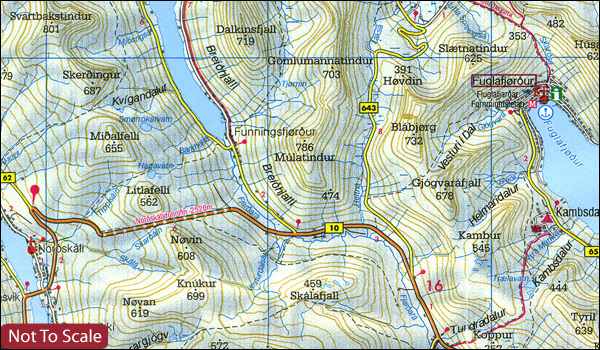 Topography is vividly presented by contours with hill shading, plus numerous spot heights. Car and/or passenger only ferry connections are marked. Road network includes country tracks and gives distances on main routes. The map also includes local footpaths and highlights several hiking trails. Symbols mark various facilities and places of interest including campsites, youth hostels and other tourist accommodation, picturesque towns, etc. Latitude and longitude lines are drawn at 5’ intervals. The index is next to the map. Map legend includes English. 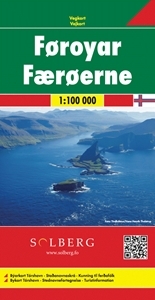 The map includes a street plan of Tórshavn, plus several colour photos.